A simple and retro styled theme, concentrated more on your ideas. 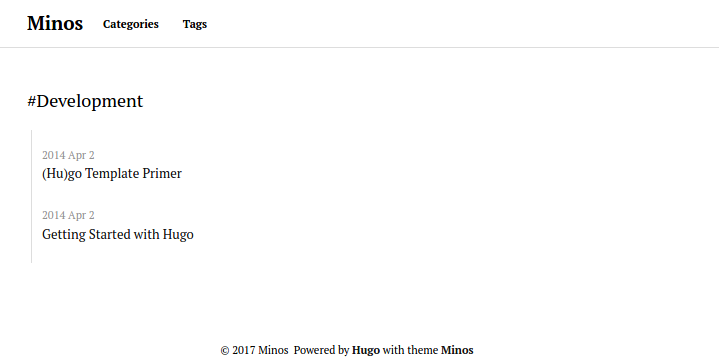 Minos is a Hugo theme ported from Hexo theme Minos. 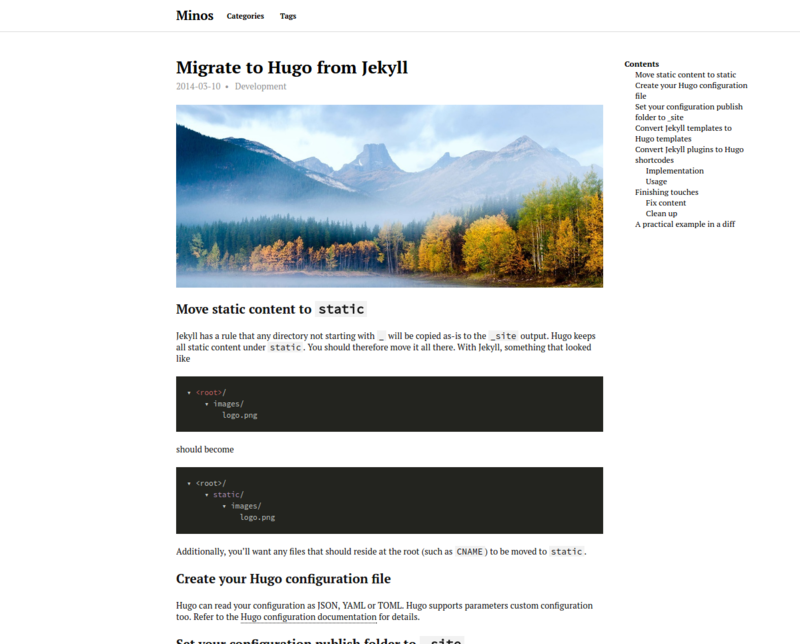 Requires Hugo v0.20+. 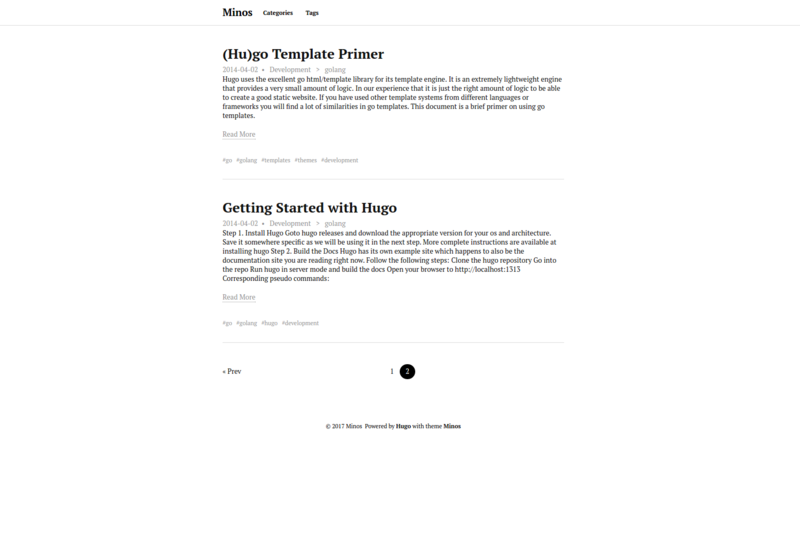 For other configuration variables, visit Hugo documentation. This can be used when creating an “About me”-page.